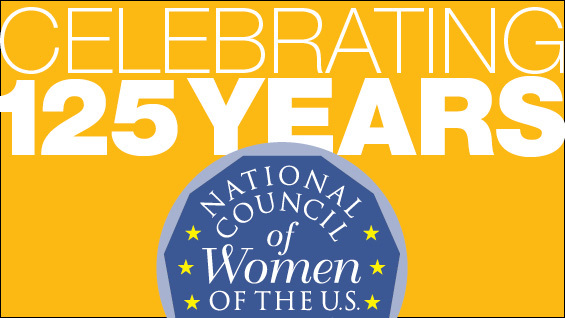 Celebrating 125 Years of the National Council of Women of the U.S. The National Council of Women of the U.S. celebrates its 125-year history with a day-long conference that looks back at the 19th century and ahead into the 21st century, recognizing that, though much may have been accomplished, there is still much to do! The NCWUS returns to the Great Hall of The Cooper Union, where is was founded by Susan B. Anthony and Elizabeth Cady Stanton 125 years earlier. Join emerging and established leaders in business, technology, social media, journalism, economics, banking, finance, education, health, philanthropy, law, politics, academics, activists, students and all industries in general. The conference begins at 9:00 AM and ends at 5:30. It is open to the public. High school and college students may attend for free, as may faculty and staff of The Cooper Union. Members of the general public must pay an admission fee. Registration is required. You must register by March 27. Dr. Martha Burk, reknowned feminist and author, will be interviewed by Rita Henley Jensen, Managing Editor of Women’s eNews. Dr. Burk's book Your Voice, Your Vote: the Savvy Woman’s Guide to Power, Politics and the Change We Need points to the progress made for women as a result of the right to vote, what women might lose and why, and addresses access to registration and voting, the women’s vote, and specific issues affecting women's advancement. Sally Roesch Wagner, PhD, a recognized author and one of the first women in the US to receive a doctorate for work in Women’s Studies will look at women’s history and point out where and how we need to go forward. Unfinished Business: Women’s Studies - Changing the future? Patricia Latona, UN Representative, Zonta International; Catherine Cerulli, J.D., PhD, Director, University of Rochester Susan B. Anthony Institute; Nancy Rivard, President and Founder, Airline Ambassadors; Cecilia Gaston, Executive Director, Violence Intervention Program; Karen Hill, Director, Harriet Tubman House (invited). Wendy Amengual Wark, Founding Partner of Inclusion Strategy; Dr. Patricia Flynn, Professor, Bentley University and former Dean of the McCallum Graduate School of Business; Carmen Oveissi Field, Principal, Deliotte Discovery; Lauren Gula, Manager, Social Sustainability & Women's Empowerment, UN Global Compact. Dr. Jacqueline Plumez, psychologist and writer; Marianne Virgilio, University of Rochester Trusts and Estates; Lori Blaker, President of TTi Global and committed to Women of Tomorrow Mentorship & Scholarship Program. Featuring Mary Singletary, President of the National Council of the US. Dr. Teresa Dahlberg, Dean of Albert Nerken School of Engineering, Cooper Union; Nancy Ploeger, President, Manhattan Chamber of Commerce; Gloria Feldt, Co-founder and President, Take the Lead; Quentin Walcott, Co-Executive Director, Connect. About The National Council of Women of the U.S. Initiated by Susan B. Anthony and Elizabeth Cady Stanton in 1888 and founded in The Cooper Union's Great Hall, the National Council continues to address the issues challenging women and girls today. Its mission is to address the diverse concerns of women in pursuit of social, economic and political equality while serving as a united voice and forum to promote progressive ideas and influence policy decisions that affect human rights. The Council is the oldest nonpartisan, nonsectarian, voluntary women's organization in the US.